Need some ideas on how to incorporate your love of literature into your home decorating? Not to worry–the following is a list of the most creative and interesting ways you can use books in every room of your house. Do you want to be lulled to sleep every night by the words of your favorite books? Check out this DIY tutorial on creating headboards out of books. I don’t know how comfortable this would be, but it would certainly be a focus piece! This book table is so much better than all those boring coffee tables out there–just make sure to use books that you never want to read or reread (legal encyclopedias, anyone?). This repurposing project is incredibly easy–even novice DIY-ers can conquer it. You can use your own books or (if you’re anti-book harm) you can paint the covers of cheap books from thrift stores and garage sales. Isn’t this just the coolest thing ever?? It makes the room so much more interesting–it’s almost as though the books flew up there and just got stuck. 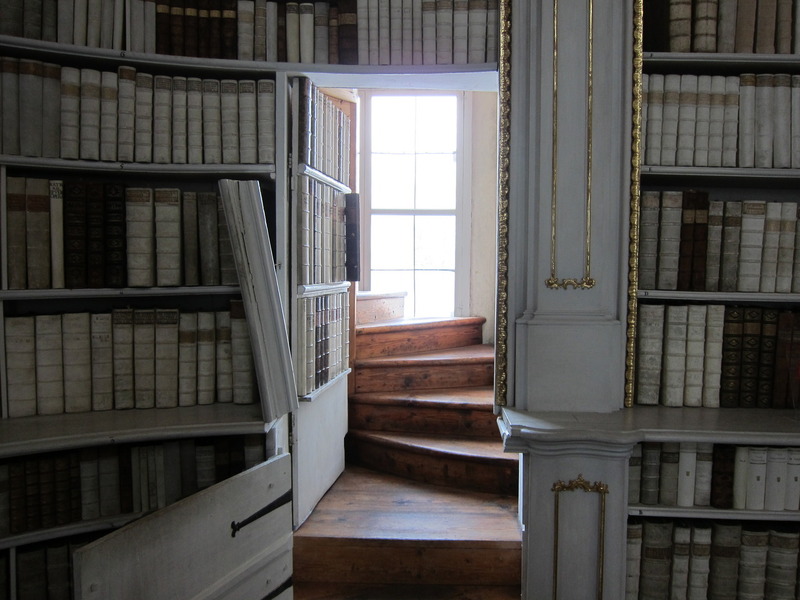 Confession time: I have always wanted to live in a house with a bunch of secret doors and passages. This fabulous bookcase door is bringing all those feelings racing back–I guarantee that if you made one of these, your house would be an 11 on an awesome scale of one to ten. I absolutely love these book clocks–they would definitely add a wow factor to any room you put them in. Is it just me, or would this butterfly book sculpture be absolutely perfect for nurseries? If you’re like me and want one for yourself, check out this video now. If you’re tired of boring old wooden shelves and want something fresh and original, follow this basic how-to guide to make some awesome floating bookshelves. Who needs Ikea furniture? Just use old books for all your counter and desk needs. Aren’t these gorgeous?! This is one of the most creative book-repurposing ideas I’ve ever seen. Heads up, Potterheads! If there is any room in your house that needs decorating–an office, a playroom, a child’s (or adult’s, let’s be real here) bedroom–then it’s time to whip out the black paint. Why weren’t these a thing when I was younger?! It totally beats my lame old pencil caddy. Do you have any old books or cookbooks that you never use anymore? This is the perfect way to repurpose them and spruce up your kitchen at the same time. Next articleThe Noble Art Of Bookbinding…With Human Skin?